Yesterday I made my way to the cinema to view Pacific Rim Uprising. I was nervous – I knew it wouldn’t be a great experience. I at least expected it to be a good popcorn movie that if for nothing else starred John Boyega. After an hour and fifty minutes I walked away feeling impressed with watching Jaegers and Kaiju beat each other to crap. That said – little of what I saw felt of consequence and in fact the movie does not take itself too serious. As directorial début of Steven S. DeKnight I congratulate his technical skills, but I do hope he will move away from the genre in the future. Now let’s go into detail about my mixed feelings for Pacific Rim Uprising. The strange thing is – Pacific Rim Uprising is not that bad. It is distinctly mediocre, but it doesn’t ruin an experience in the same way Transformers 5 did. Now let me be frank, I wasn’t a big fan of the original Pacific Rim and I went to the cinema with low expectations. I treated it as a Transformers clone starring John Boyega. Instead I got a movie that is well directed, has a decent pace and features a scenario that only works if you ask the guy next to you to choke you for 5 minutes. Which is in keeping with the genre. Yet Pacific Rim Uprising is very direct and to the point, there are no side plots – just characters, Jaegers and Kaiju. In fact, throughout the movie there are plenty of elements of misdirection. Initial antagonism between Boyega’s character Pentecost and Scott Eastwood’s character Lambert appears to set the tone. But then they bury the hatchet and the movie rolls on. A similar misdirection happens between Cailee Spaeny’ character Amara and Ivanna Sakhno’s Vik. Initially it also appears that the main antagonism is Liwen Shao – head of the powerful Shao company. Yet this misdirection is also quickly resolved. These red-herrings along with the fast pace ensures that the movie keeps viewers on the edge of the seat. Even when it has no right to. 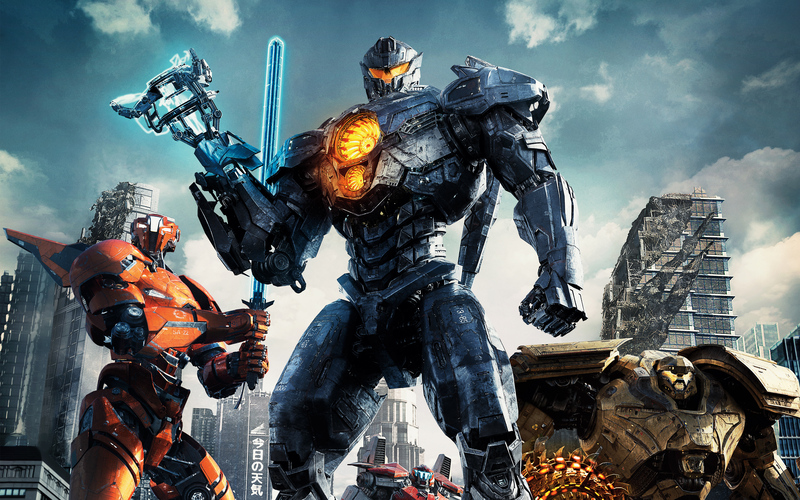 Despite being not bad there is one criticism is cannot dodge – Pacific Rim Uprising plays it safe. The original movie was filled with offbeat humor. Ron Perlman had a number of gory scenes. In contrast this movie feels more mechanical – like it is going through the motion without a heart. Now it does have humor, a bit of gore and some drama, but it is always written to make sense for that particular scene. There is no overall message for the movie. At the end of the day I think Pacific Rim works due to its fun cast. John Boyega and Scott Eastwood take point as experienced actors. Cailee Spaeny does well in her acting début – I did have to think of Emilia Clarke when I saw her. Both Charlie Day and Burn Gorman are effective comedy sidekicks. Actress Adria Arjona was sadly under utilized. A love-triangle between her character Jules and Lambert and Pentecost was yet another red-herring. This was my review for Pacific Rim Uprising. The movie is not as good as Tomb Raider, but if for nothing else it is not bad either.